Remote working is changing the workplace and it is changing the way in which people work. We no longer have to be located in an office with colleagues or around other people because all remote working requires is an internet connection. If you have an internet connection then you can work remotely, but is remote working right for you? The fact that 70% of people now work remotely once a week shows just how much it has grown in popularity but more interestingly, it is believed that 50% of the workforce will work remotely by 2020. Not everyone works best when they work remotely because some of us like to be surrounded by people and prefer to work in an active environment. However, in contrast to this, there are those of us who prefer working on our own terms and in places that enable us to increase our productivity levels. So, before you go ahead and begin remote working, you need to determine if it is right for you. Remote working means that you will lack an element of social interaction, which is something you take for granted when you work in an office. Studies have found that social interaction enhances our mood and improves our health and happiness. If you find that you are a social person and like to be surrounded by others then perhaps remote working is not right for you. However, you could always test the idea of remote working before fully committing, enabling you to get a feel for what it is like to work alone. 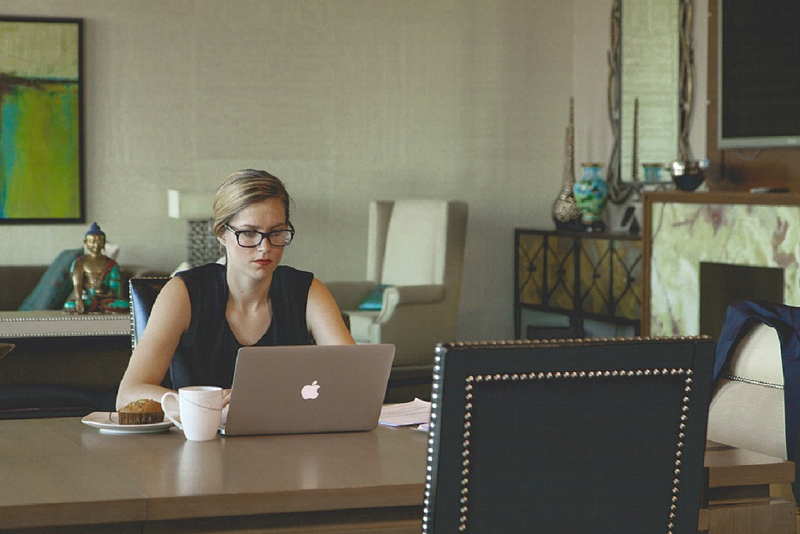 If you are someone who is happy with your own company and prefer to work on your terms, then remote working could be right for you. There are so many different places to work if all you need is a solid and reliable internet connection. You can work from the park, from a coffee shop or even in the library proving that remote working gives you a real sense of freedom. This means that you can identify those places that really help you to improve your productivity levels. If you prefer the bustling atmosphere of a coffee shop or the silence that comes with co-working spaces then remote working certainly gives you enough options to ensure that you are as productive as possible. If remote working is a new concept for you but you think that it might work, you could also trial it. Ask your manager if you can work remotely for one day a week from home or a location of your choice for three months. During the trial, create a schedule that you believe will work for you and stick to it but remember that if something isn’t quite right, you can always make changes to the times you work and the places that you work. How Important is your Personal Life? Remote working offers you an exceptional level of flexibility when it comes to the hours you work and where you work. If family life and personal life is important to you, then remote working could be the perfect option. It will enable you to spend more time with family and friends and be there during important moments of their lives. In fact, if you like to travel and see the world, remote working is the perfect choice. When you choose to work remotely, you can make fit it around your lifestyle, enabling you to find a balance that works for you.